CAIN is always looking for bright and enthusiastic Honours and PhD students! We are happy to talk about your ideas, especially if they are related to cognitive ageing, dementia, stroke, brain training and virtual reality. Don’t hesitate to get in touch if you are interested in joining our team! Adolescents and younger children typically have limited knowledge and poor attitudes towards dementia and people living with dementia. Intergenerational programs aim to increase this knowledge and foster positive attitudes towards dementia. 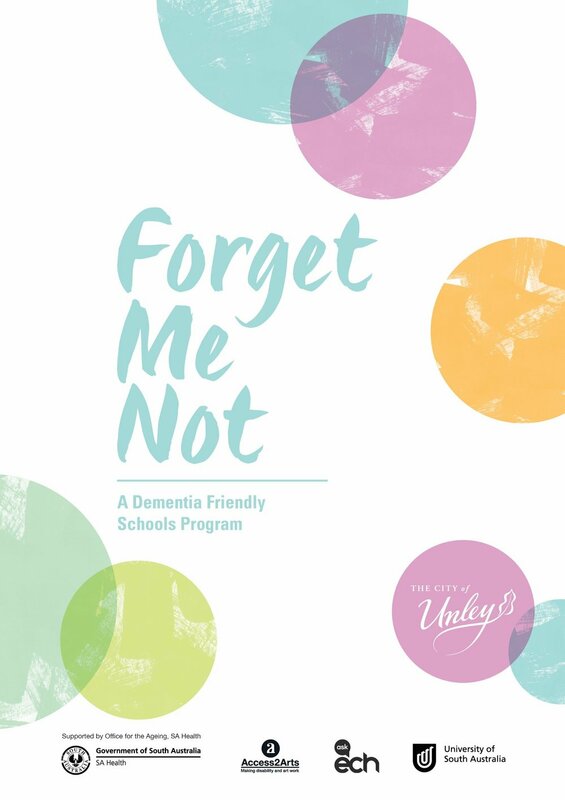 Our work in the ‘Forget Me Not’ project aims to connect school aged students with older adults living with dementia. Through weekly art and gardening sessions, we hope to bridge the gap between these two populations. Ultimately, this project is the first step in building a more dementia-friendly community in South Australia. Organisations involved: CAIN, UNSW, Unley Primary School, The City of Unley and ECH. CAIN members involved: Dr Ashleigh Smith, Dr Tobias Loetscher, Dr Hannah Keage, Samantha Lai and Georgina Kamm. This study aims to identify risk factors for a deterioration in thinking and memory skills after a type of heart procedure known as transcatheter aortic valve implantation (TAVI). These changes may be short-term (such as delirium) or long-term cognitive decline. Another part of this study will compare participants undergoing TAVI and the control participants before the TAVI procedure i.e. the baseline data. This analysis will identify if participants with aortic stenosis compared with participants without aortic stenosis have different motor symptoms (walking, eye movement, voice, swallowing), mood, behaviour, brain activity (measured non-invasively using electroencephalogram or EEG), and their genotype taken from a saliva sample. CAIN members involved: Hannah Keage, Tobias Loetscher, Erica Tilley, Danielle Greaves, and collaborators Dr Peter Psaltis (SAHMRI) and Dr Daniel Davis (UCL). Virtual reality technologies are advancing rapidly with new applications in business, entertainment, education and medical domains. Virtual reality creates a fully immersive experience that has demonstrated its effectiveness in psychological research and therapies. Taking advantage of the possibilities virtual reality has to offer, CAIN has integrated the latest virtual reality capabilities into their laboratory. Our virtual reality research spans several areas investigating the transfer of skills, virtual therapies, and the cognitive after-effects of exposure to virtual reality. CAIN members involved: Dr Tobias Loetscher, Dr Ancret Szpak, Stefan Michalski, Dimitrios Saredakis. The mechanisms which lead to cognitive dysfunction in Parkinson’s disease are poorly understood. One proposed mechanism is impairment of the ability of the brain’s neurovasculature to regulate blood flow in response to changes in brain activity. This study will investigate whether responsiveness of the cerebrovascular system differs in Parkinson’s patients with and without cognitive impairment, compared to neurologically healthy controls, in the face of increasing cognitive demand. There is an individual variability in how people cope with brain injury, including age- and dementia-related neuropathologies. Two people with the same brain injury can experience very different cognitive impairments, one may have dementia whilst the other may have no clinical impairments. This phenomenon is known as cognitive reserve. Here at CAIN we are investigating the neural mechanisms and cognitive consequences of cognitive reserve using a variety of techniques, including electroencephalography, Magnetic Resonance Imaging, and Transcranial Magnetic Stimulation. CAIN members involved: Louise Lavrencic, Hannah Keage, Scott Coussens and collaborators Dr Owen Churches (Flinders University), and collaborators Associate Professor Mike Ridding and Dr Mitch Goldsworthy (University of Adelaide), Dr Thais Minett and Elijah Mak (University of Cambridge), and Dr Blossom Stephan (Newcastle University). We are consistently bombarded by visual stimuli, and the brain has a variety of strategies to exploit the dynamics of our visual environment. For example, repetition of a stimulus leads to exposure-dependent changes in response properties of cortical neurons, known as repetition suppression or neuronal adaptation. We are investigating some of the factors that modulate the magnitude of repetition effects, including temporal attention (i.e. attention focused in time) and expectations about the images that we will see in the immediate future. 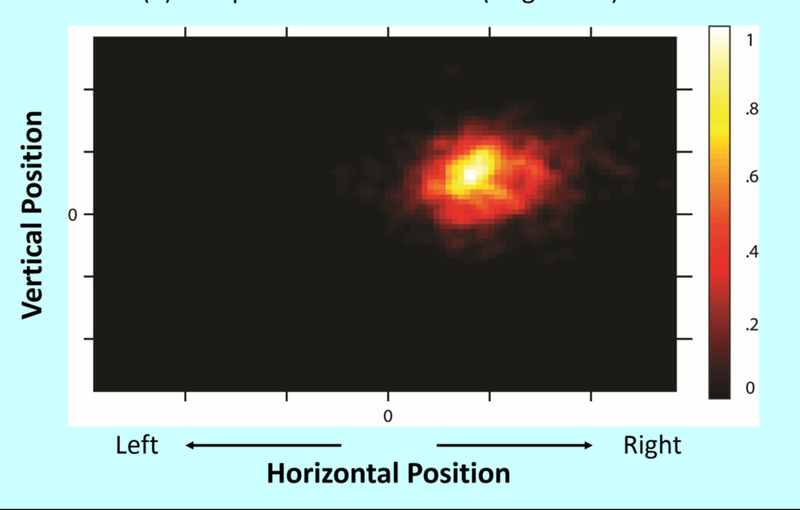 To investigate this we use a combination of event-related potential, fast periodic visual stimulation and multivariate pattern classification methods. CAIN members involved: Daniel Feuerriegel, Hannah Keage, Scott Coussens and collaborators Bruno Rossion (University of Louvain) and Owen Churches (Flinders University). A visual field defect is a common consequence of stroke with a detrimental effect upon the survivors’ functional ability and quality of life. Understanding the natural evolution of scanning compensation over time may have important ramifications for the development of efficacious therapies. The study aims to unravel the natural history of visual scanning behaviour in patients with visual field defects. The assessment of scanning patterns in the acute to chronic stages of stroke will reveal who does and does not learn to compensate for vision loss. The early detection of brain changes leading to cognitive impairment and dementia is critically important for early intervention. We know that vascular risk factors such as smoking, high blood pressure and being overweight (particularly in mid-life) increases the risk of dementia in later life. This study investigates associations between cardiovascular health and cognitive function, from mid to late-life, and the role of neurovascular coupling in these effects. CAIN members involved: Drs Ashleigh Smith and Hannah Keage, Daniel Feuerriegel and Danielle Greaves. Every 10 minutes someone in Australia has a stroke. Stroke-related cognitive impairment affects around 24% of survivors and is related to poorer psychological health, ability to perform activities of daily living, and overall quality of life compared to stroke survivors without cognitive impairment. If these outcomes can be accurately predicted soon after stroke onset, early access to appropriate rehabilitation may be facilitated, ultimately improving long-term outcomes. We are running several studies investigating the accuracy of current clinical predictions, as well as methods of better predicting outcomes. We are particularly interested in the predictive value of bedside electroencephalography. CAIN members involved: Rebecca Callahan, Dr Tobias Loetscher, Dr Hannah Keage, Dr Scott Coussens, and collaborators A/Prof Andrew Lee (Calvary Wakefield Hospital, Flinders University) and Dr Blossom Stephan (Newcastle University). We have around a 1 in a million chance of dying from an accident every day, and this acute risk is quantified as 1 MicroMort. 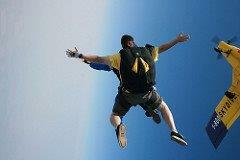 We increase our risk through activity choices and MicroMorts index their acute risk of death. We are running a number of behavioural and electrophysiological studies investigating how people understand risks associated with everyday activities (outside of gambling/financial risk). CAIN members involved: Hannah Keage, Tobias Loetscher, Scott Coussens, Dilushi Chandrakumar, Daniel Feuerriegel, and collaborator Stefan Bode (UMelbourne). Types of dystonia. Picture taken from here. 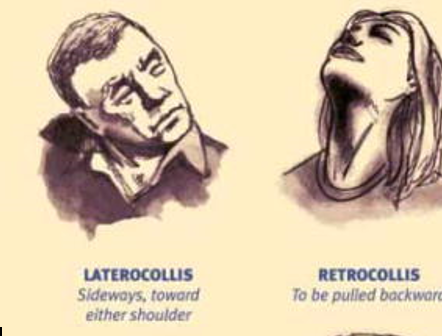 Cervical Dystonia (CD) is a neurological disorder characterised by involuntary neck muscle contractions that may lead to abnormal head and neck postures. The objective of this study is to investigate the consequences of an abnormal lateral head posture on spatial perception and participation in everyday life. CAIN members involved: Dr Tobias Loetscher, Rebecca Callahan, Emily Rosenich, and collaborator Professor Lynley Bradnam (University of Technology Sydney). The goal of the current study is to devise a more versale paradigm than the classic verbal fluency task where people list as many words beginning with a specific letter (e.g. ‘s’) or that are part of a certain category (e.g. animals). Instead we aim to gauge word meaning in a broad sense, controls the executive aspects of language, is sensitive to different domains and types of dementia, and would result in a diagnostic tool in both detection and tracking of treatment outcomes. CAIN members involved: Dr Hannah Keage, Scott Coussens, Danielle Greaves, Owen Churches (Flinders University) and collaborators Simon DeDeyne (The University of Melbourne) and Marijn van Vliet (Aalto University).